Rosemary oil benefits include it's ability to relax and calm muscles, as well as improve concentration and memory. Rosemary essential oil also is known as an anti-inflammatory oil which helps many skin conditions, but is a healthy oil for hair and nails too. The essential oil benefits of rosemary are recognized by massage therapist because it tends to invigorate and stimulate clients, increasing circulation, and improving respiratory and arthritis symptoms. 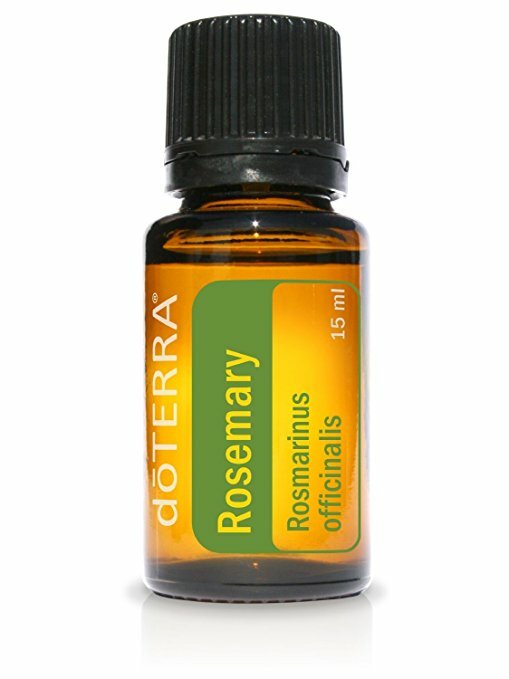 Rosmarinus officinalis, the botanical name for rosemary, is steam distilled, and has a fairly strong aromatic scent. It grows in Mediterranean soils and produces a shrubby plant that can grow up to six feet tall, however often only grows to 2-3 feet because of the rocky, windy slopes where it originates. The plant is usually more abundant in the spring and produces a bluish-purple flower which has a strong scent, similar to pine. There are many people who say that this oil also helps with PMS, stomach issues, skin disorders, gall bladder problems, and heart problems. Rosemary essential oils should not be used on pregnant women. Breastfeeding or nursing mothers should not use the oil either, due to it potency. It should always be diluted with a carrier oil, and never used directly on the skin. Those with epilepsy should not use this oil, as it is volatile, and may cause seizure, spasms and/or vomiting. It may at times cause allergic reactions, so always use sparingly, being sure to test in very small amounts. When used in aromatherapy massage, this oil blends well with other essential oils, and is a key ingredient in many massage oil recipes. One of the best, the doTERRA Rosemary Essentail oil 15 ml, is 100% pure essential oil with a warm, healing, camphor aroma, great for use at home or in a massage therapy session. Ancient cultures considered rosemary a special herb, as it was always used in food, as incense in special ceremonies, and for medicinal uses.